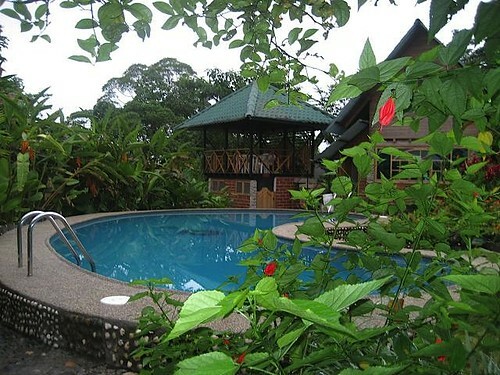 This Ecuador Amazon lodge for sale offers a unique profit and environmental opportunity. 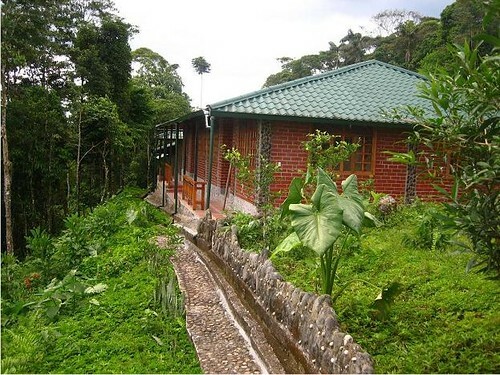 Reserve and Eco-Lodge for sale in the Central Rainforest of Ecuador-South America. 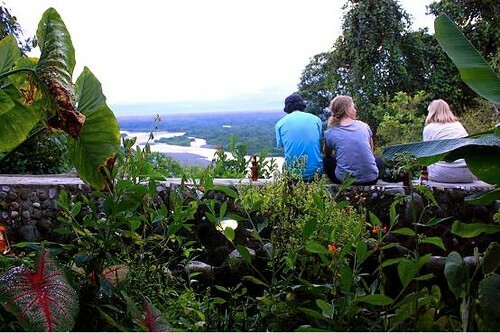 This is a nice opportunity to buy and own a nice eco-lodge situated on an upper Amazon basin (950 meters over the sea), and scattered in our reserve (sanctuary of birds and butterflies), with an unbeatable view over the “Sangay” National Park, Sangay, Altares, Chimborazo Tungurahua Volcanoes, and “Pastaza and Puyo” Rivers. 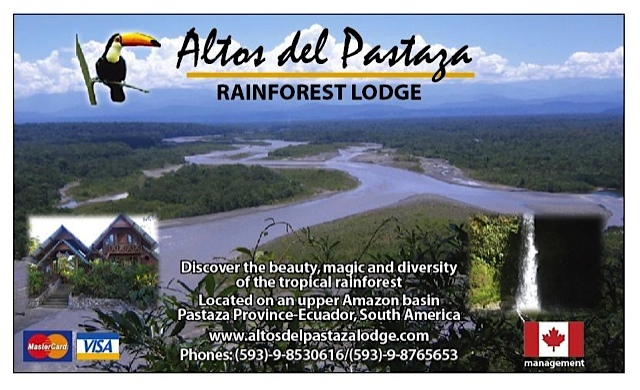 The eco-lodge has 25 rooms for simple, double and triples occupancy plus 64.75 hectares (160 acres) of virgin rainforest in the central part of the Amazon region of Ecuador, South America. 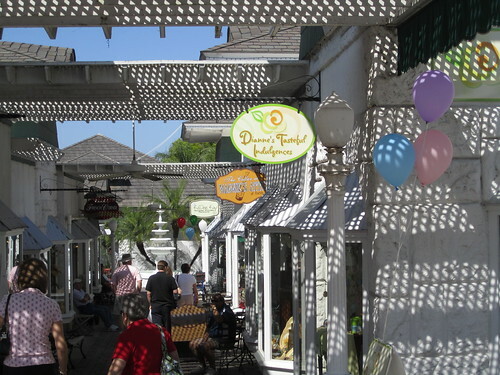 Location: just 5 1/2 hours and half from Quito, 1 hour 30 minutes from and Baños town, 8 hours from Cuenca city , 9 hours from Guayaquil. 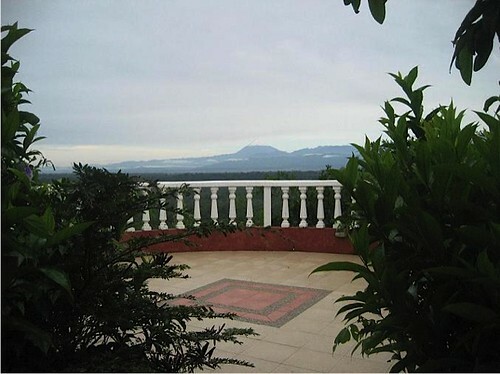 General View of Altos del Pastaza Eco-Lodge and Reserve entrance with “Sangay” Volcano and National Park in the background. 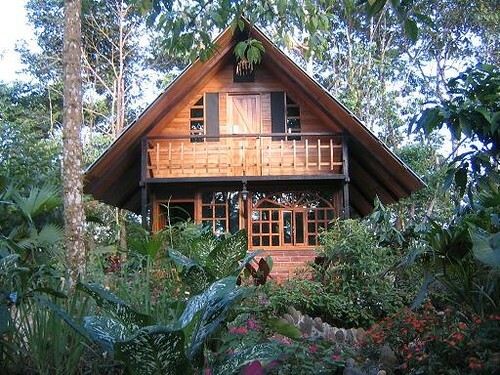 “Chinicuro” Cabins with view to the Rainforest. Card room and small library. 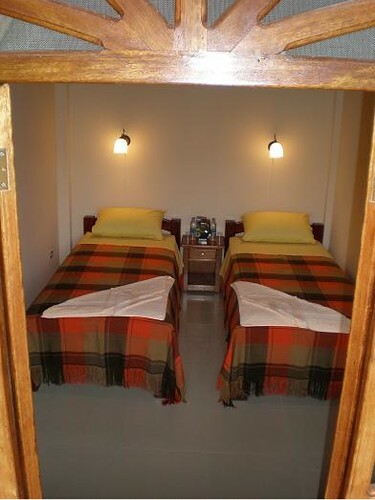 Double accommodation at the lodge. 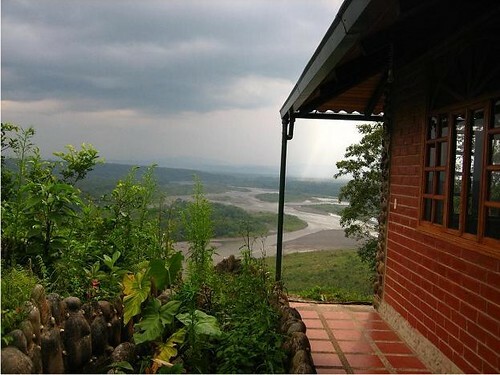 Room with views to the rainforest and Pastaza River. 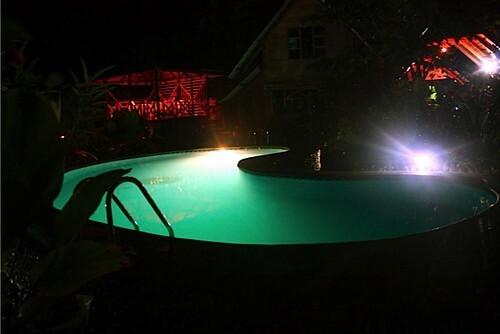 Refreshing pool with bar at the edge of earth. 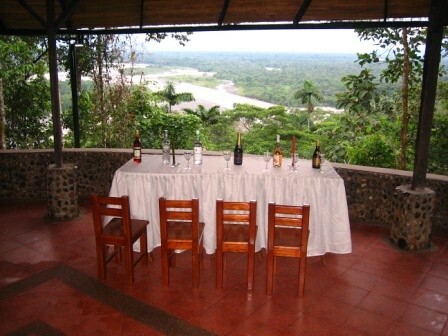 Altos and Pastaza Eco-Lodge balcony (main point view-Mirador) with “Sangay “ Volcano and National Park at the background. 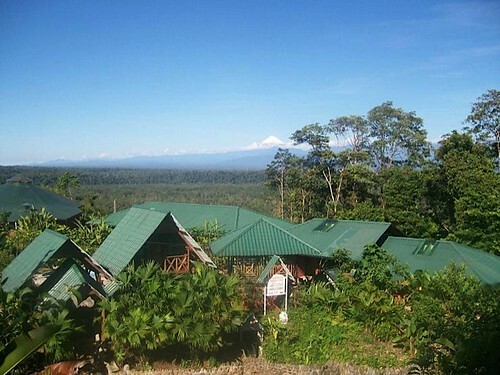 Reserve and Lodge on sale in Central Rainforest of Ecuador-South America. 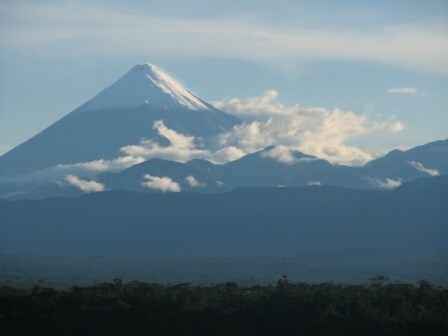 “Próxima Parada” a TV travel program which shows the most important tourist attractions- destinations in Ecuador, announced that the lodge and reserve is one of the 10 more beautiful places to visit in Ecuador. 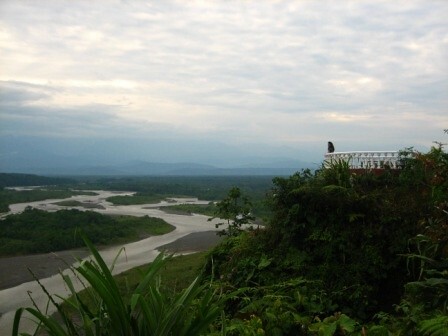 The land is unique due its location on an upper Amazon basin overlooking the majestic “Pastaza and Puyo” Rivers. At 950 meters (3,000 feet) above sea level with temperatures between 18 and 35 degrees celsius (65 & 95 F). 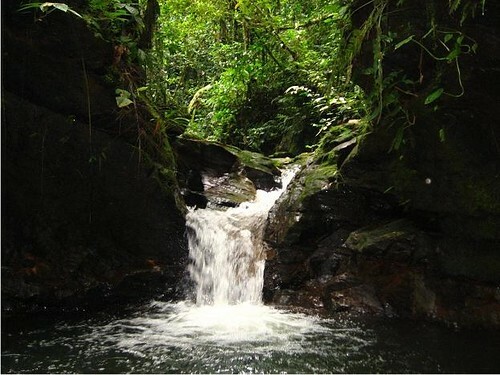 This area is away from oil exploitation and other destructive practices, where guests can appreciate the “Sangay” National Park, Sangay, Altar, and much more. The reserve is a sanctuary for a lot of species of birds and butterflies. The lodge is located in the central rainforest of Ecuador, Pastaza province, South America; it is dedicated to show the world this fascinating eco system and the beauty, magic and diversity of the tropical rainforest, with visits to Quichua communities, rainforest-canoes river rides, rafting, hiking to the primary and secondary rainforest in our reserve and as well to “Hola Vida” reserve and its waterfall. 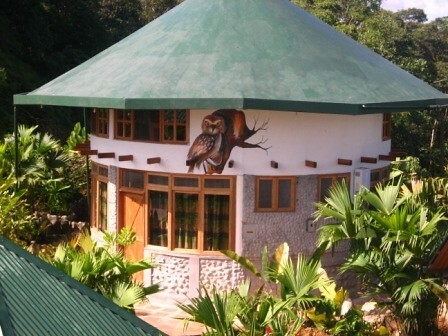 The owners of the lodge believe the future of the rainforest is inextricably linked to the well being of its inhabitants, Their philosophy of providing quality and conservation, while preserving nature and offering guests a safe and unforgettable experience and they are looking for new owners to continue this eco venture. 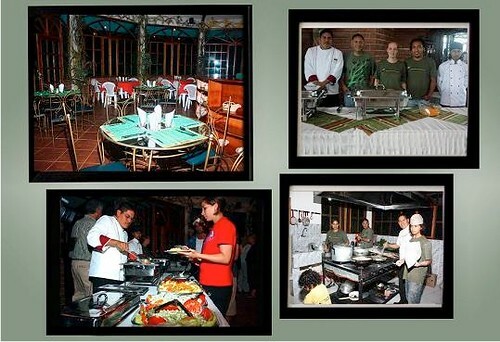 The Ecuador Living Club has a list of Ecuador attorneys who have helped subscribers to our Ecuador Living Club.